Courtyard Concepts has endless possibilities for walkway and pathway designs. For the easiest solution, consider brick pavers in unique patterns to achieve a luxurious look and add the most curb appeal. Add some visual interest and practical purpose to a sloped garden landscape by creating a gravel-stepped pathway. Or create a more rustic walkway by combining different shapes and colors of flagstone or bluestone into a richly patterned mosaic. A walkway made of stepping stones is a simple, inexpensive way to add charm to your landscape. 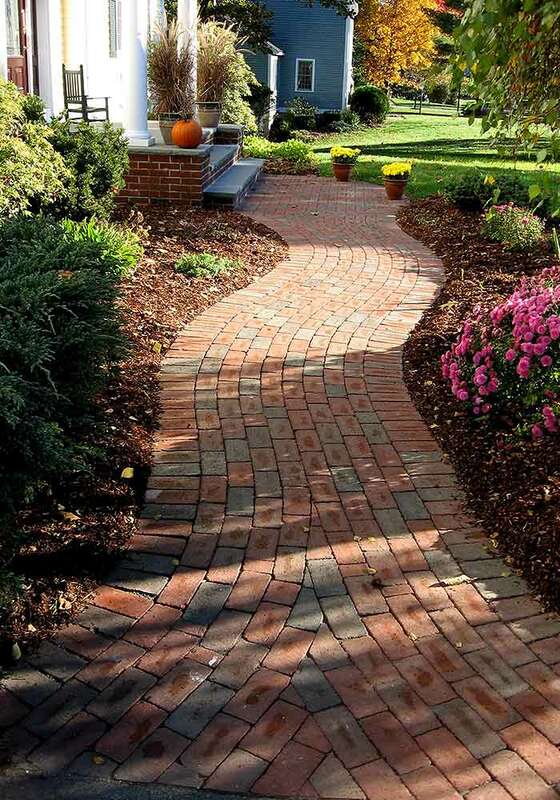 Stone paths offer a practical connecting route for foot traffic from the sidewalk or driveway to your front door and along the side or back of the house. The pavers and natural stone we use in our hardscape design paths are not only valuable for their aesthetic natural appeal, but also for their resistance to damage from salt, frost, temperature and age. When we meet to discuss your project parameters, we can specify exactly which components of your project fit your needs. It is our goal to provide you with peace of mind for your landscape investment. We can provide you with a walkway design tailored to your vision and the surrounding landscape that will transform your property into a more attractive and valuable residence. Our pathways are carefully crafted on a project-by-project basis, allowing you full control over the finished result. Courtyard Concepts designs and installs walkways and pathways to residential and commercial properties. We offer expert craftsmanship, quality products and detailed project management with a consistent focus on budget and design objectives. Our team is committed to providing outstanding customer service and is always excited for the opportunity to meet with homeowners. 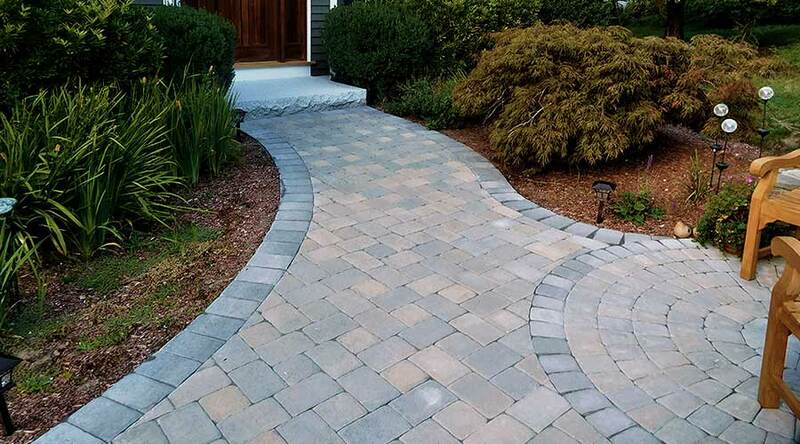 Contact Courtyard Concepts today @ 978-256-5454 for a complimentary walkway or pathway design and installation estimate. To view more images of our walkways, visit our walkways portfolio.